bro can i ask if there’s any tent rental around the area? 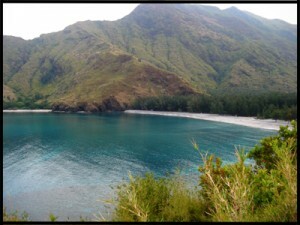 can i ask if theres any tent rental around the area..
kuya, pede din po bang mag hike from pundaquit to anawangin cove?? kasi po may nabasa ako sa net na naghike lng daw sila from the town to anawangin..
tanong lng po, ano o ba ung mga bawal sa anawangin?? like kung pede magbonfire… saka pano po kung magpunta kami sa Capones island, iiwaqn lng po namin ung mga tent namin sa anawangin beach?? 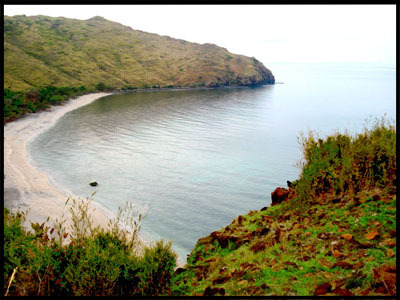 kc we’re planning to go there this summer..
Pwede maggawa ng bonfire pero sa camping area hindi pwede sa beach front.. The as usual pag mag bonfire ka dapat maghukay ka and pagatapos ng bonfire tatabunan mo. sir ask ko lng po kc this coming april 5,6 wer planing to go der w my offc. 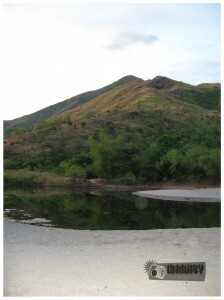 mates n wer go trecking instead boating pwede b un at meron b makuhang guide at magkano po? check your email….. i ans. ur inq. i am planning a trip to anawangin with my friends who are on vacation here in the philippines. your post will be very helpful. could you please send me the number of the boatman so i can make arrangements already. thank you so much. hi!! i wud like to knw of aprox. how much per person will be needng???? hi there. just want to clarify, the 1k boat ride for 5 persons is it back and forth? hi! can i also have the boat man’s contact # if you have it? Thanks! Good Day! May i have mobile number of your preferred boatman.Thanks Much!!!! hi can i also ask for the number of the boatman. thanks! hay.. salamat sa wakas nakahanap din ng matinong instruction papuntang anawagin. hello po, can i also have the number of your boatman? thanks po! hi. can i also have the number of ur boatman so we can make early arrangements. punta po kami dun this weekend. please pakiemail nyo naman po sa akin. maraming salamat po. may bangkero kaya this holy week? Good day!…pde ba malaman ung ibang info about awangin coz we’re planning to spend our holy week there with my frends..i like to know if ever we stay there for like 5days how much money should we keep in our pocket per head? and may comfort room ba dun khit maliit lng coz we have girls in the company…hope you reply to my message…your answer will do a big help…salamat po! Good day!…pde ba malaman ung ibang info about awangin coz we’re planning to spend our holy week there with my frends..i like to know if ever we stay there for like 5days how much money should we keep in our pocket per head? and may comfort room ba dun khit maliit lng coz we have girls in the company and pede po ba pki send narin ung number ng boatman…hope you reply to my message…your answer will do a big help…salamat po! hi… 🙂 thanks for the info. but like the previous requests, could you please send me the boatman’s contact number? pls..anyone who can send no.of the boatman to pundanquit? inquire ko namn ung no.nung boatman..please..
we’re planning to go in anawangin this holy week. hi pa send naman po ng no. ng boatman nyo..thank so much.. Ask ko lang po kung meron po b dun comfort room? Paano po kung nadudumi na? Thanks po! Hi, gusto ko pong malaman maliban po sa mga fair expences like sa mga boatman. meron pa po bang babayaran sa island or inclusive na po sa bayad ng boatman? hi.. you got a very helpful blog here..
hi. makulit na request lng po.. like everyone else, can i have the name and number of your boatman? we’re going to the place this weekend, i and my boyfriend. is it safe to go there this rainy season? pls advise. and pkisend nlng din po sa contact info ng bangkera sa email ko. thank you. sir, ask ko lang po ang bath & toilet sa anawangin kase plan po nmen ng mga frens ko to go there sept 2nd week ok po b i mean safe & maganda ang weather ng ganun mga day..? pls give info on the things aobut anawangin po,, salamat po & God bless!